Product round-up The intense competition in the PC market means that you can now get some pretty decent laptops for less than £500. However, one common cost-cutting measure employed by most budget laptops is the use of a lower-res display – typically just 1366x768 pixels. Most likely these displays will still be called HD in the blurb, but that’s that because these panels easily accommodate 720p video – 1280 x 720 pixel resolution. For the more discerning eye, that’s just not enough, and while we’ll be looking at the more expensive HiDPI laptops soon, full HD laptops are certainly more affordable these days, especially if you’re prepared to trade having a high-performance CPU or a speedy solid-state drive for a crisper, higher resolution image instead. The additional screen real estate makes lighter work of simple tasks like web browsing and of course, more serious applications like photo-editing or piecing together presentations. Lest we forget the enhanced viewing experience when watching 1080p video content on a matching full HD screen. With that in mind we’ve looked around to find some of the most affordable laptops that feature 1920x1080-pixel resolution displays. 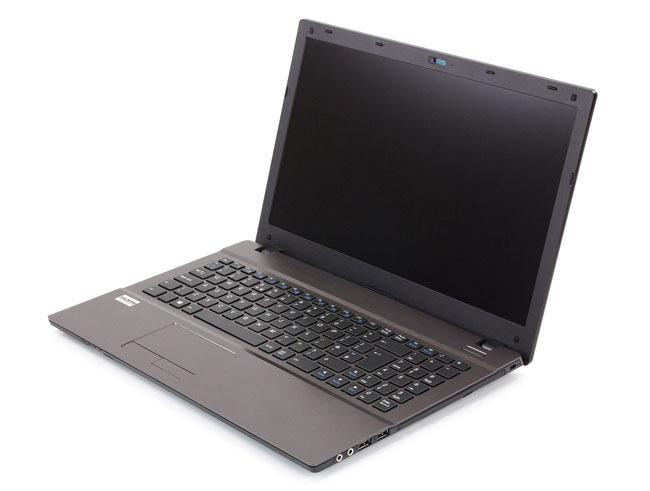 These full HD laptops obviously tend to be more expensive than their lower-res counterparts, and in general they offer a respectable build quality and comfortable keyboards. Even so, not all HD displays are created equal. The screen sizes we found varied between 13 inch and 17 inch, and you shouldn’t expect the most expensive laptops to always provide the best display, as we found out. Some laptops also score with strong performance that makes them ideal for photo- or video-editing work, while others focus on features such as a Blu-ray drive or beefy speakers that are more suitable for home entertainment. Its nondescript dark grey chassis may not be much to look at, but Chillblast’s Prestige gets all the basics right and offers an attractive full-HD display and good performance for just £629. The 15.6-inch display isn’t quite as bright and colourful as that of some of its rivals, but it still provides a sharp, detailed image with good viewing angles. Many people will also prefer the display’s glare-reducing matte finish to the glossy, reflective coatings used by so many laptops these days. Unfortunately, the tinny speakers do sound rather feeble, so you’ll probably want to plug in a set of external speakers when playing video content or listening to some music. Performance is good, though, thanks to a Haswell Core i5 processor that runs at a healthy 2.6GHz, along with 8GB of memory and a 500GB hybrid drive. That combination manages solid scores of 2608 and 3026 points in the Home and Work suites in PCMark 8, and matches the performance of many of its more expensive rivals. The Prestige weighs 2.2kg, which is a little heavy to carry around in a backpack, but it’s actually below average for a 15-inch laptop that includes a built-in DVD drive. The battery also managed just four minutes short of five hours when running the intensive PCMark 8 benchtests, so it’ll earn its keep if you do need to take it away from the office occasionally.